With most of the Dodgers' core group of starters unavailable, as their uniforms were being run through the clothes dryer (gotta use gentle cycle or they could shrink; right, Uribe?! 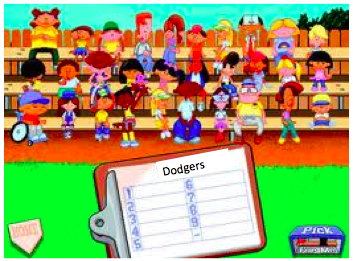 ), the Dodgers fielded a minor-league lineup today and got...minor league results. Prior to the ninth inning, the Dodgers were held to only four hits (two from Skip Schumaker, including two doubles; one from Dee Gordon (1-for-4 with a SB) and one from late double-switch entry Michael Young). We had made three errors (Gordon, Carlos Marmol, and Tim Federowicz). The ninth had some slight intrigue: another Skip Schumaker double to leadoff the inning, with Skip advancing to third on a one-out Adrian Gonzalez PH single. But Yasiel Puig's PH appearance ended in a K, as did Matt Kemp's PH appearance. Should have let those guys rest, Donnie! Edinson Volquez did pretty well: 6.1 IP, 5 H, 1 ER (HR by Jedd Gyorko), 4 BB and 6 Ks. Marmol pitched 1.1 IP and it was a push, 3 BB and 3 Ks. I'm all for resting the starters, but shouldn't that mean giving them a full nine-inning respite? San Diego fans can chant whatever they want. At the end of the day, they have to go home and watch AGon (and Peavy!) in the postseason. And they have to play again just a few hours later.